Monday morning got rolling with the attendance of ABE PhD student Dr. Andi Hodaj’s thesis defense regarding two-stage ditches as a tool to reduce nutrient loads. A two-stage ditch is a variation of a traditional agricultural ditch in which the banks are dredged to create floodplains, dissipating the energy of high-flow water and increasing interaction time between vegetation and water. Purdue’s two-stage ditch utilized in Dr. Hodaj’s was established in 2012 and drains 660 acres; it may be a possible implementation point for the project’s biological method. Additionally, primers arrived, and the Experiment project write-ups were finalized and proofed. The Experiment campaign went live! Thank you to both Drs. Rickus and Solomon for endorsing the project, and to those who are project backers–your donations are greatly appreciated. See last week’s previous post for more information; the Experiment page can be found here. Work continued on both the spring publication and protein profiles for the wiki. Formal lab meeting #1 was a success with the most highly prioritized goal for the upcoming week to find or generate relevant numbers for the project including necessary flow rates for a microbial fuel cell, an appropriate density of E. coli within it, etc. The rest of the afternoon was spent working on action items from the meeting and printing the spring publication, which is FINISHED. Team members Barrett Davis, Paige Rudin, and Suraj Mohan attended the Regional Clean Energy Innovation Forum held at Ross-Ade Stadium. Leading scientists from across the country gathered to discuss topics like energy storage, biomass and synthetic biology applications (a conversation that piqued the students’ interest), materials manufacturing, and more. The theme the team took away from the day is best summarized with the words of Purdue President Mitch Daniels during his opening remarks: “It’s only an innovation when it’s useful to someone.” How can new technology of nanowires and microbial fuel cells be integrated efficiently into established systems? Is it a cost-effective solution? Only time will tell, but the team is excited to find out. Happy birthday wishes to Barrett, as he celebrated his 20th birthday in the lab on Friday. In the best interest of keeping a sterile work environment, the team refrained from strewing confetti across the bench, although it would’ve been both fun and festive. Dow AgroSciences generously donated various lab supplies to the iGEM workspace that the team was thrilled to pick up in Indianapolis on Friday morning. 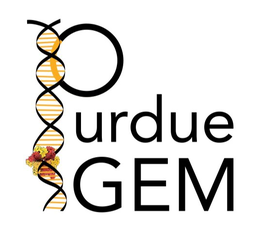 Thank you to Dr. Steve Evans, Mr. Mike Doody, and DAS administration for their support in realizing the dream of a self-sufficient, independent lab for the sole use of undergraduate iGEM students. With equipment, it is possible to operate without reliance upon the lab space of other Bindley Bioscience Center scientists, lending additional flexibility to the projects iGEMmers are able to complete. Phosphorus genes arrived, and the team got to work on PCR amplification in the afternoon. This included resuspending IDT DNA gBlocks and using PCR to increase the amount of DNA present for transformation. So diligent is this year’s team that several members completed additional PCR amplification and iGEM kit plate promoter transformations on Saturday and Sunday. After digestion and ligation, they did some gel electrophoresis, as well, running several different samples.